It's no secret that those closest to us can wound us the most profoundly. Reeling from betrayal, we build walls around our hearts to protect us from the heartache, yet these are the very walls that block us from seeing hope, receiving healing, and feeling love. 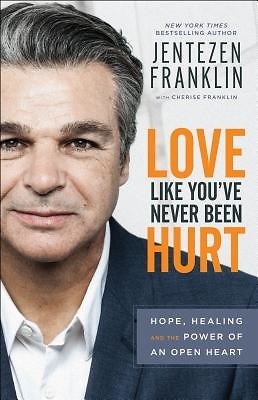 Sharing his own story of personal pain, pastor and New York Times bestselling author Jentezen Franklin shows you how to find the strength, courage, and motivation to love like you've never been hurt. Through biblical and modern-day stories, he discusses different types of relational disappointment and heartache, and answers questions such as Why should I trust again? and How can I ever really forgive? Don't let someone else's actions control the condition of your heart. Here is everything you need to tear down your walls, work through your wounds, repair damaged relationships, and discover the power of an open heart.